The secret wedding-present-to-be has been decided, and now I’m just waiting for the yarn to get here! I’m so excited to get started, it’s perfect, and I can’t wait! Check back around June 7th to find out what it is . . .
Until my supplies get here, and since I’ve just recently finished Shawl Collar Prototype II (stay tuned . . .), I’ve been occupying myself with socks and more socks! 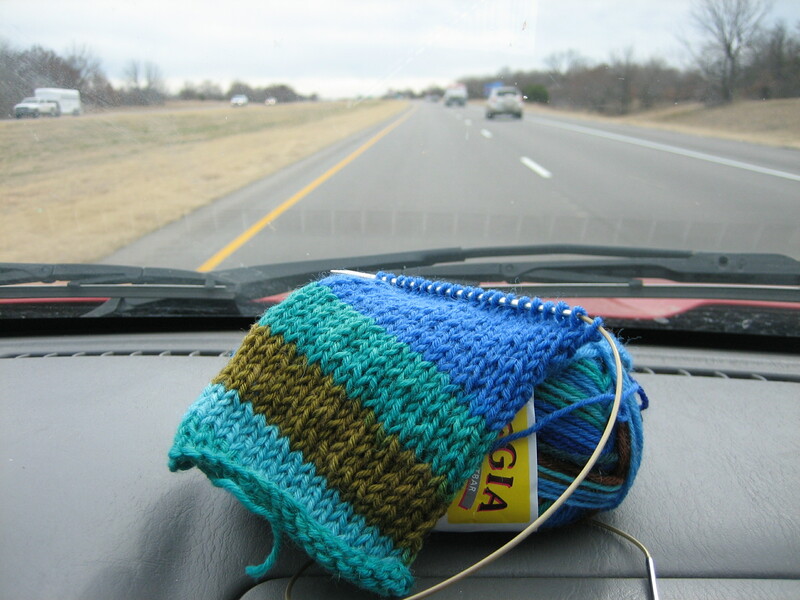 My other sock adventure has been trying to get the correct gauge for Francie, by Rebekkah Kerner. Am I the only one that is having trouble getting 48 rows/4″? 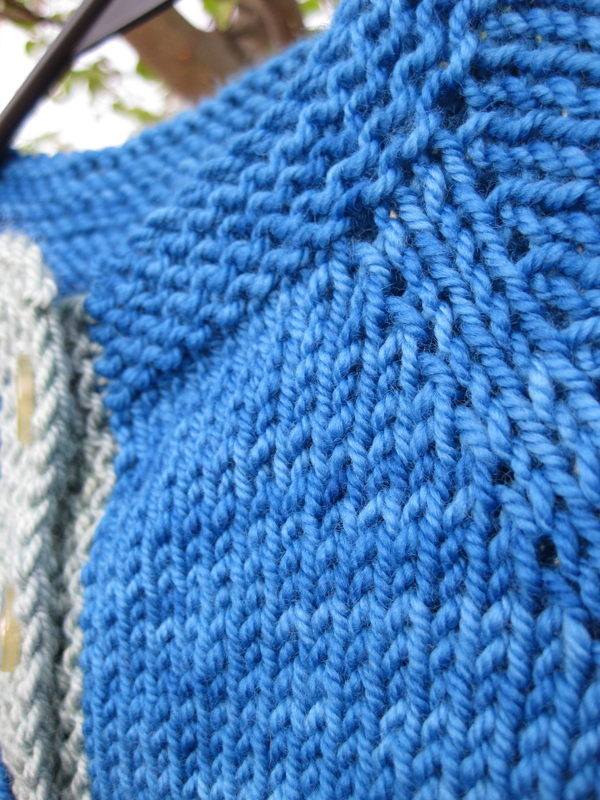 This is one pattern where I think row gauge is much more important than stitch gauge. 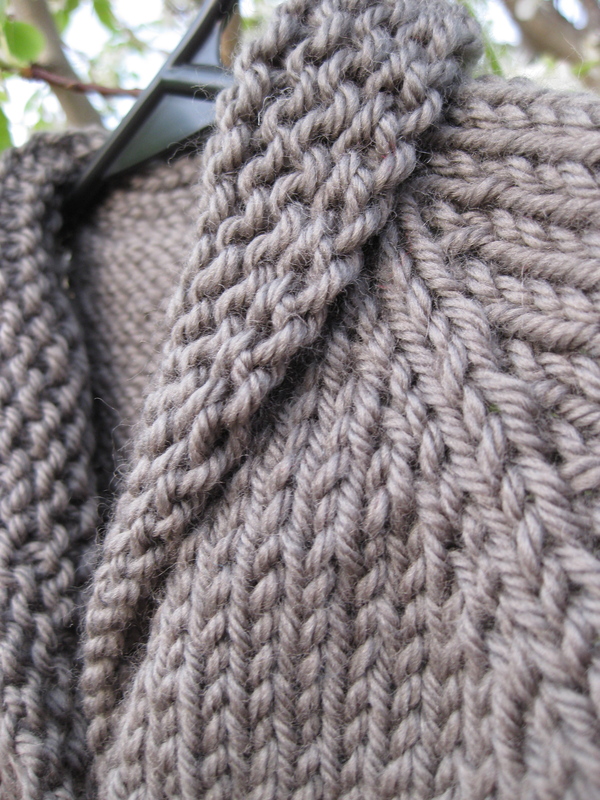 I’ve already knitted this pattern once with the wrong row gauge, and had to stop the foot shaping way, way early. I want to get this right, because I think the foot shaping is beautiful and interesting and it looks like these socks give you a hug while you are wearing them! 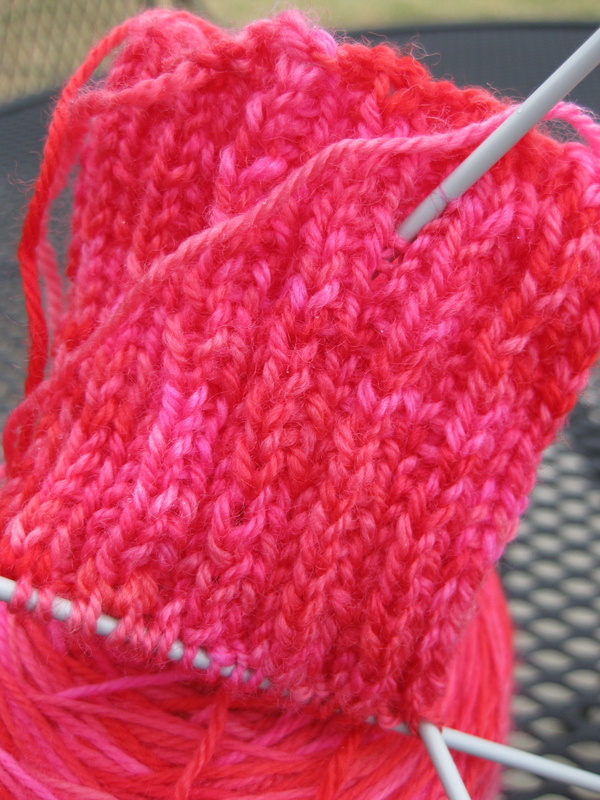 The yarn for this sock-to-be is Slackford Studios, LLC’s Lightfoot Sock. I mentioned previously that I loved how the yarn looked all wound up and ready to knit, and (would you believe it) I like it even more knitted up (which isn’t always the case). The color is Favorite Lipstick, and I adore the pinks in this yarn! 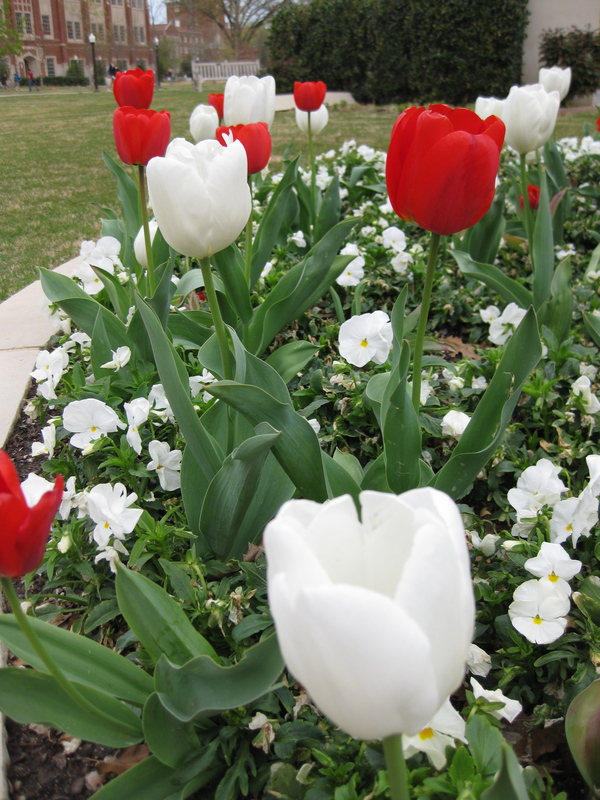 Here’s the first shot at gauge (unsuccessful). Hopefully the next is closer! A few other things that made today a good day . . . I finally got to use my Miss Babs Yummy Sock and Baby that I bought when L&B was having the “everything blue is 20% off” sale. Clapotis is Kate Gilbert’s version of a french scarf, and she practically guarantees that wearing this scarf will make me extremely stylish (not to mention warm). 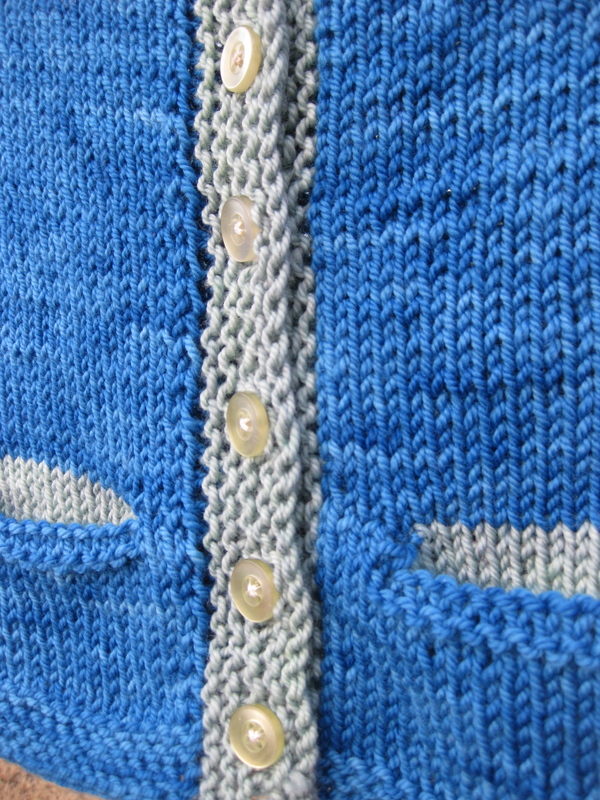 I was delighted to be able to make a few modifications to the pattern – the type where I don’t have to knit as many stitches or as many repeats! 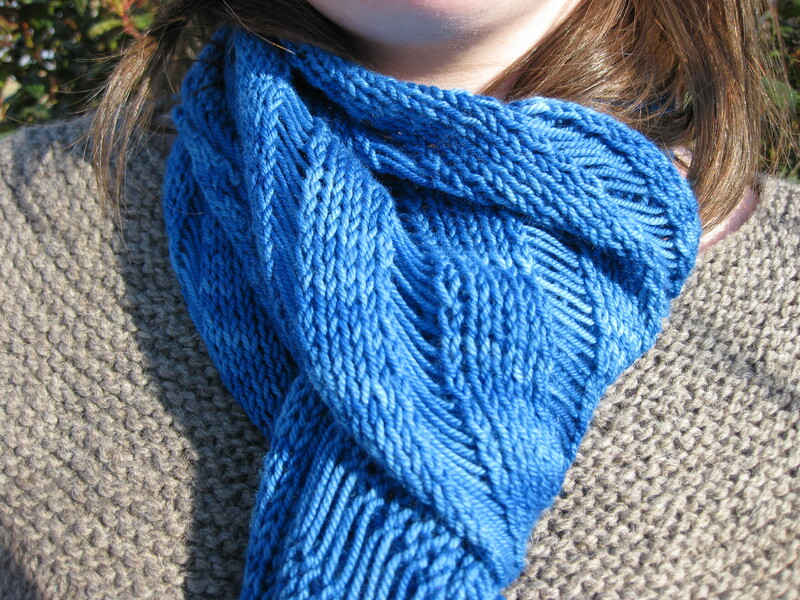 I wanted a thinner scarf than the original, and my gauge was a bit larger than that called for. 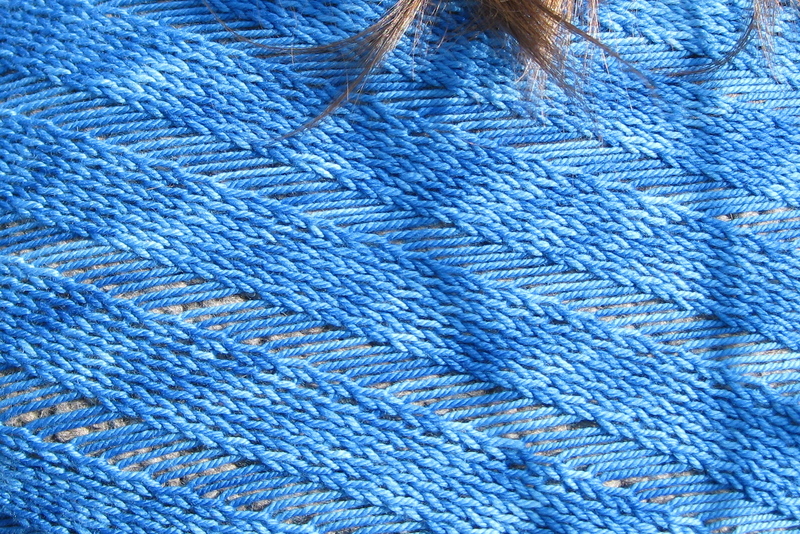 I love how the yarn looks in this pattern. I didn’t want a variegated yarn for this project, but I did want a little bit of color variation to make it more interesting! 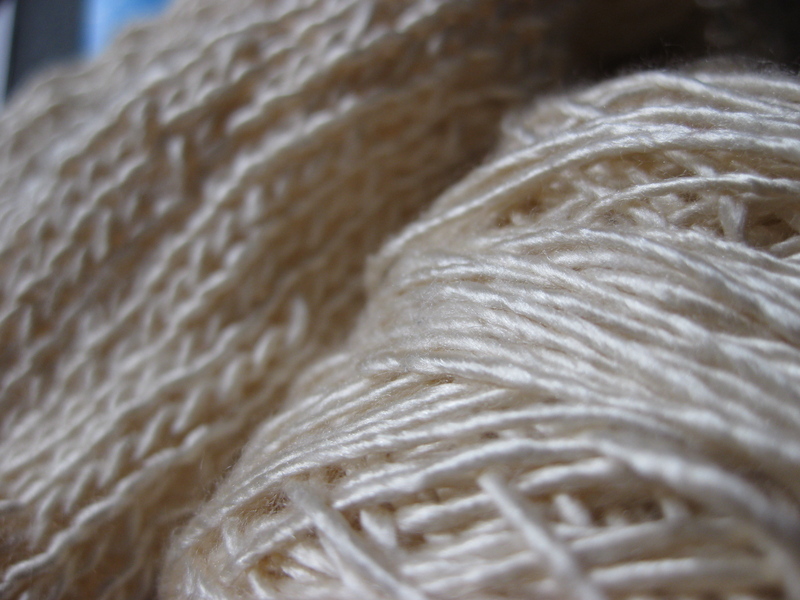 Don’t worry – you’ll be seeing more of this beautiful yarn . 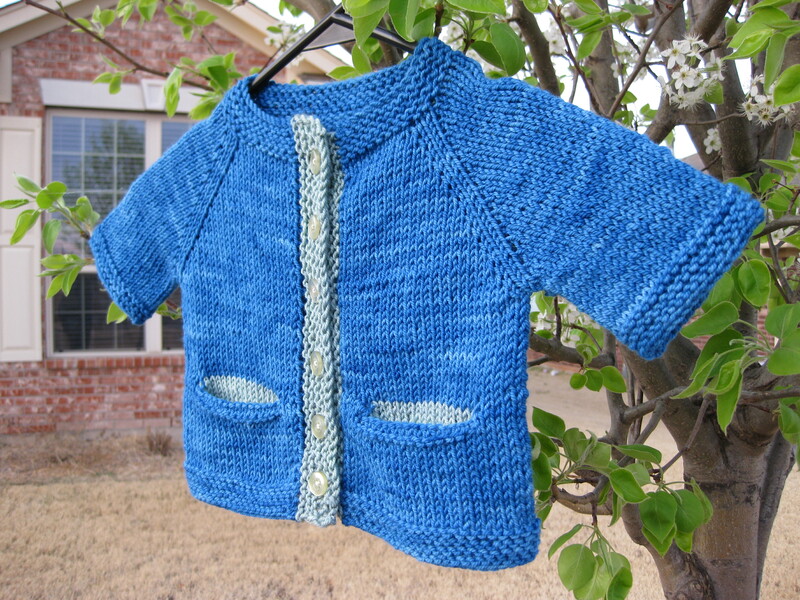 . . in a soon-to-be revealed baby jacket. The colorway is Bunting, so how could I not make something for a baby? New Issue of the Twist Collective!! Ok, this might be old news to some, but I just visited the site today. I love Malabrigo, and after knitting Ryan’s Malabrigo Koolhaas and Koolhaas mitts, I had to have something for myself. 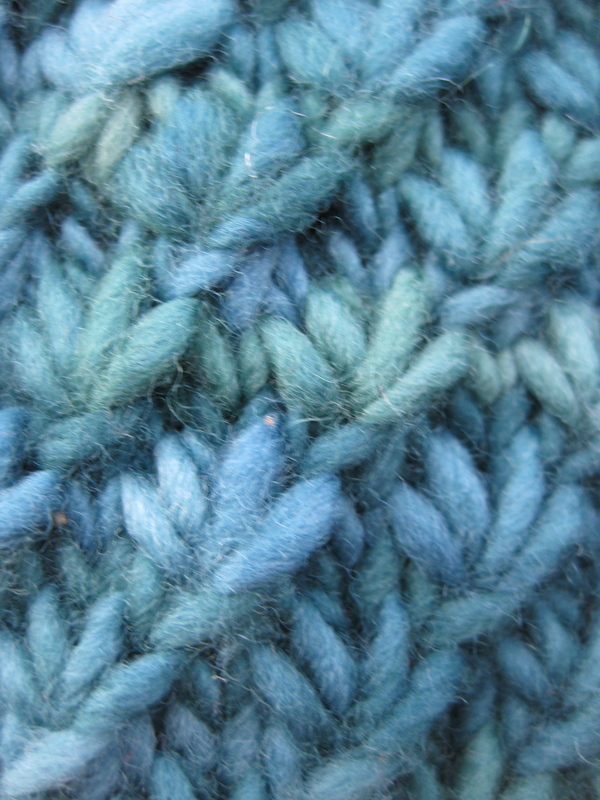 I saw a beautiful stitch pattern on a scarf at the Gourmet Yarn Co, and they were kind enough to give me the pattern. 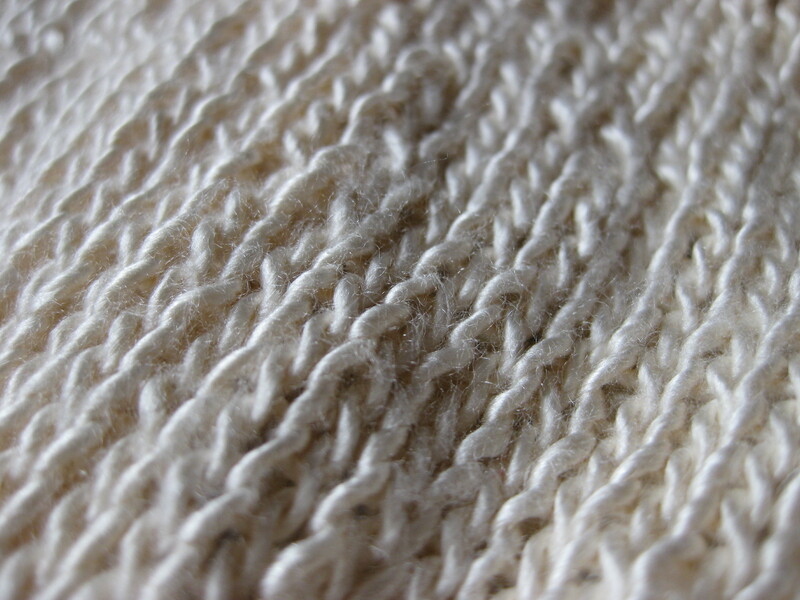 The stitch is called star stitch, and in a lightweight yarn like the one used at GYC, it really does look like a star. 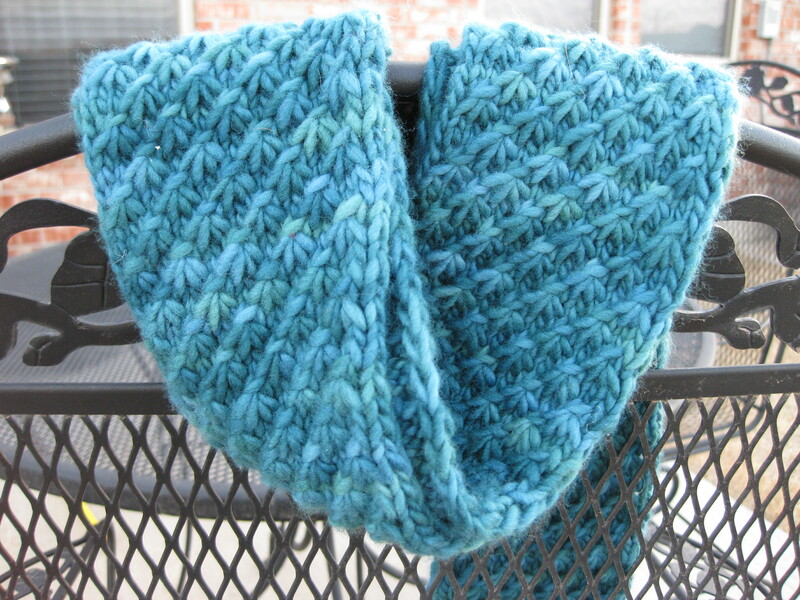 I wanted to see how it knit up in a heavier yarn, and Malabrigo was just the ticket. I actually think the repeats look more like a flower in the heavier yarn, and I just love how the color variations look with the stitch pattern. I used Malabrigo Merino Worsted in Emerald. 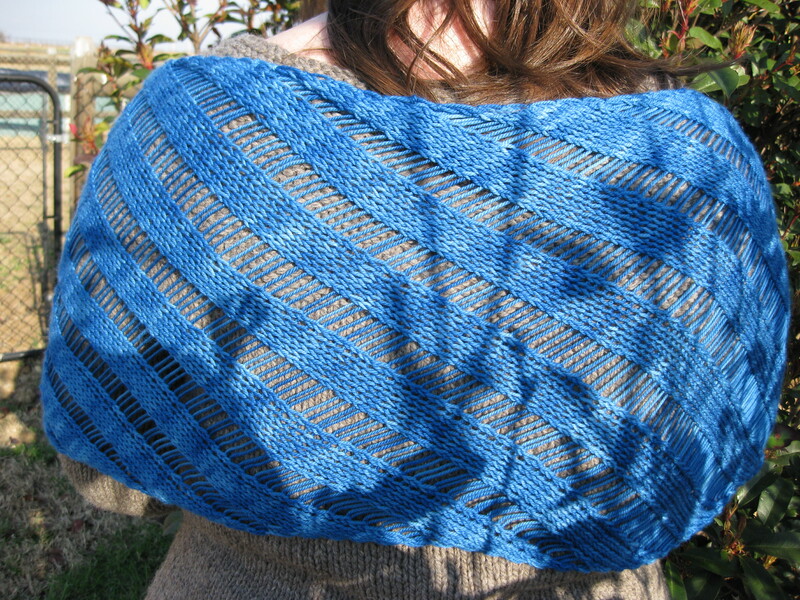 (I think this may be my favorite colorway!) The scarf was relatively simple, although I recommend knitting loosely if you don’t want to really hate the p3tog’s in the star stitch. Ahhh . . . yesterday was a great day. Kristen was in town for a visit, which is always a good time. 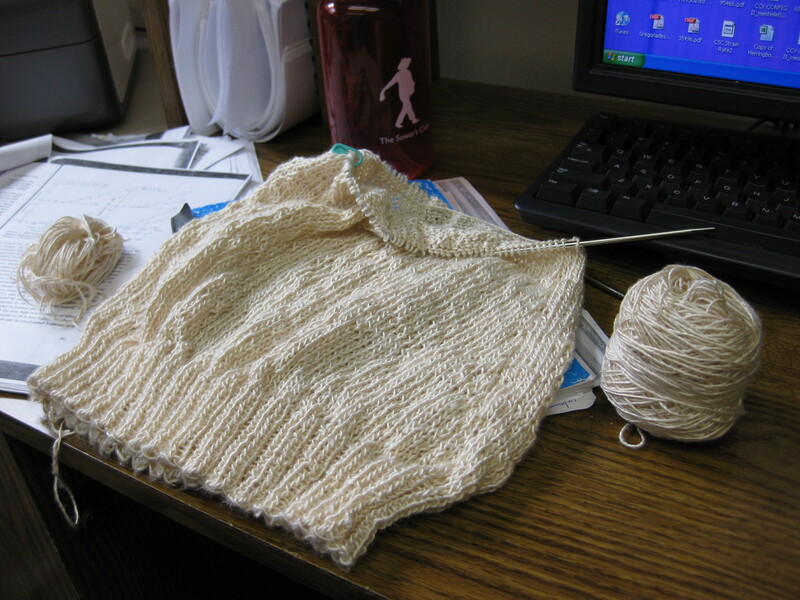 This day was extra fun, though, because Kristen wanted to knit a baby sweater – fast. So of course we had to go to L&B to pick out yarn. Since Emily and I knew that Kristen would need to knit a gauge swatch at the store so that she could buy the right needles, we thought ahead and brought our own knitting to entertain us. Three hours after walking into the yarn store, we called it quits (I think this may only be because they were closing). 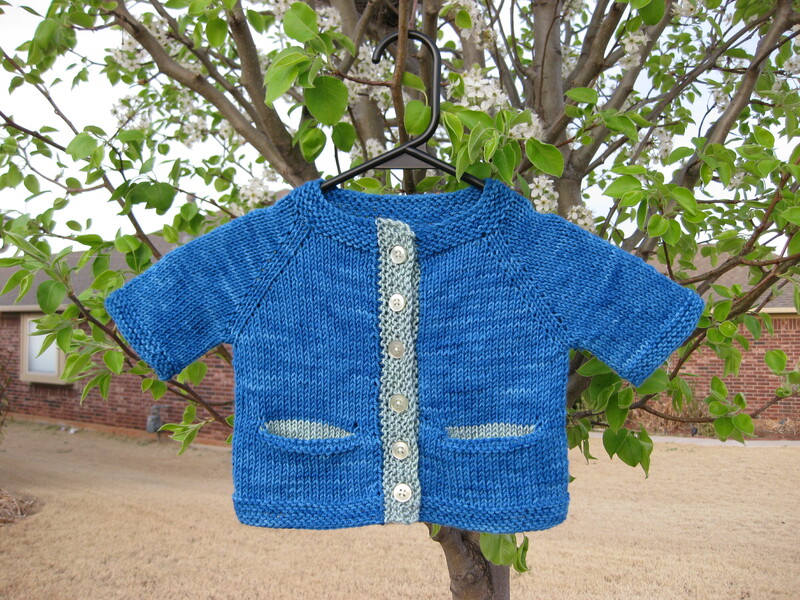 At L&B, we settled on the Garter Yoke Baby Cardi (a design very similar to my Garter Yoke Cardigan from the previous post). 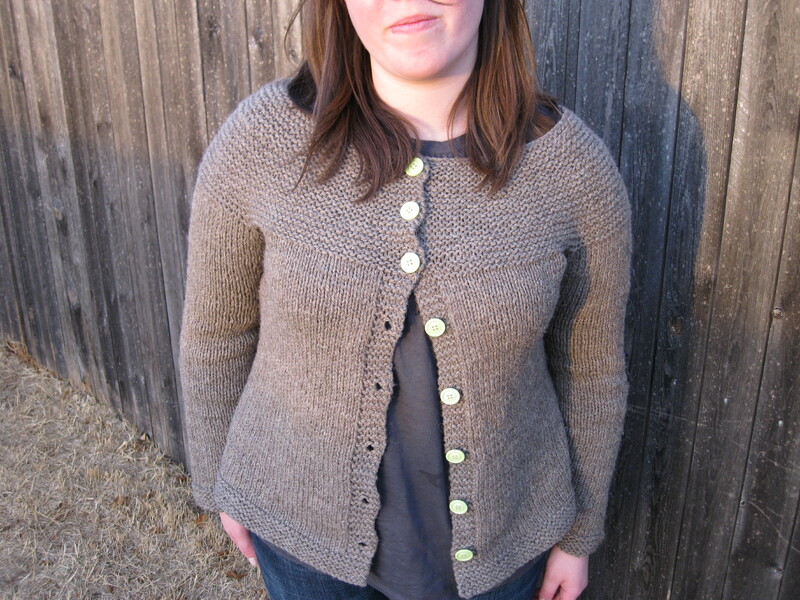 It is an adorable top-down cardigan, and Kristen decided to knit it up in Berroco Comfort DK, in (I think) the color Dusk. 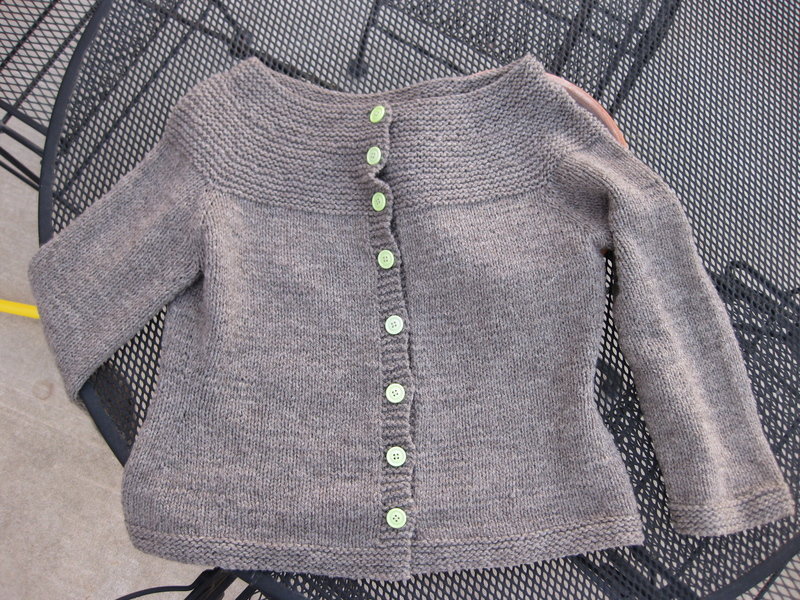 It is turning out very, very cute and I think the only decision left to be made is the buttons! My all day knitting project was Kate Gilbert’s Clapotis, a “french scarf.” I decided to use Miss Babs Yummy Sock & Baby yarn. I’m about half way finished, and I’m liking the pattern so far. It is a nice pattern to work when you might be distracted, and once you get the hang of the repeat it goes very fast! Hopefully I will have pictures of a few things soon!